For the second consecutive year Air-Site AB ended on a Swedish publisher´s list of “Super Companies”. The definition is “companies that does everything right.” Among approximately 50 000 Swedish companies with sales of more than 10 million per year it was less than one percent that managed to achieve the tough criteria which the publisher had set this year. 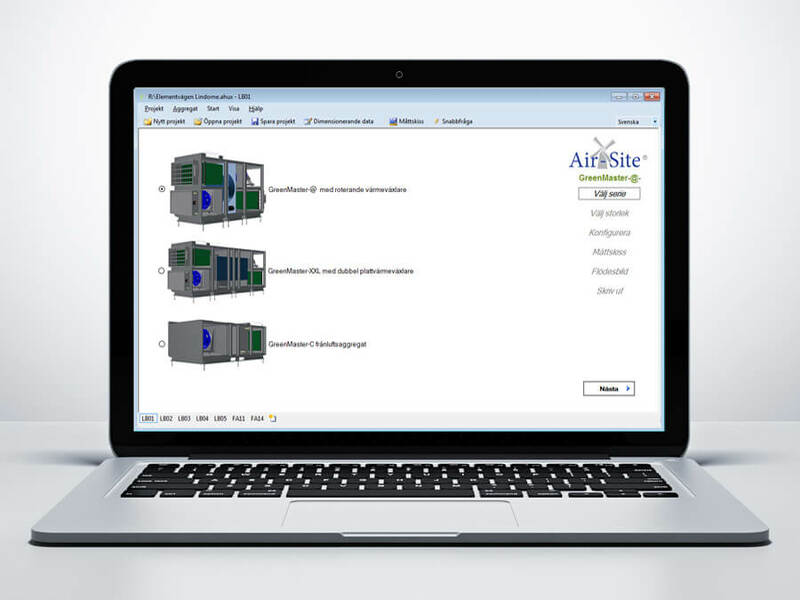 Air-Site AB is an expertise company in plumbing and ventilation. With their innovative and qualitative product they create efficient and energy-saving solutions for customers.2013 Elecosoft got commissioned to build an aggregate selection program for Air-Site AB. That is a program for configuration and calculation of heat exchangers in the ventilation system. The program is built on a new platform in .NET and has been a very interesting assignment for Elecosoft. The program was released at the same time as the traid fair Nordbygg took place last spring. – This has been an important cooperation for us. We compared different actors of the mission and decided that Elecosoft was the best choice. This program has been prioritized to develop because it is a program that helps our customers. I’m happy with the product but we will continue to further develop continuously together with Elecosoft, Tomas Nilsson President Air-Site.